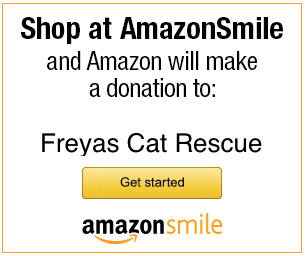 Follow Freya’s Cat Rescue’s board Cat Lover Items on Pinterest. iGive is a free service where shopping at any of 1585 stores like Amazon, Travelocity, Overstock, and many more, means a donation to your favorite cause. Do you love to walk or run? Then download the ResQWalk app, favorite Freya’s Cat Rescue, and go for a walk! Each step you take helps save homeless animals.